Preface The author feels great pleasure to present this thoroughly revised, edited and updated edition to the learned professors/lecturers/students. In this edition the latest solved questions of the GATE Examination have been added at the end of book for their guidance. This edition of the treatise is thoroughly revised, edited and recomposed. Latest questions of various competitive examinations and other universities have been added to respective chapters. Besides this new chapters on Remote Sensing System and Geographical Information System have also been added at the end, to meet the requirements of students. Besides, many Objective Type and Multi Choice Questions (M.C.Q.) have been added throughout the text. 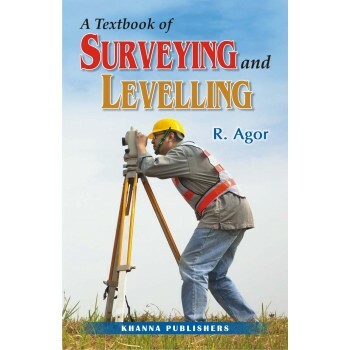 It is hoped that the book will be further useful to B.Sc., Engg.,Degree, Diploma students of various Indian Universities and Board of Technical Education as well as it will serve as a reference for field engineers and surveyors.